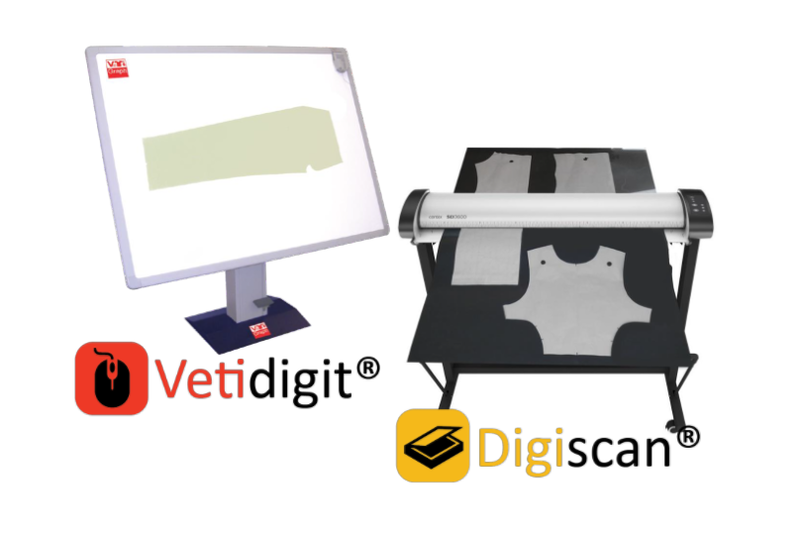 Scangraph Lite® offers a real alternative to the digitizing table. Less bulky and faster, this system allows you to vectorize one or more patterns at the same time in one click, with the help of a camera. Within this solution, you can use a simplified CAD tool to modify your shapes and generate them in various formats (PLT, DXF, …). Automatically detects notches, drill holes and grain line. 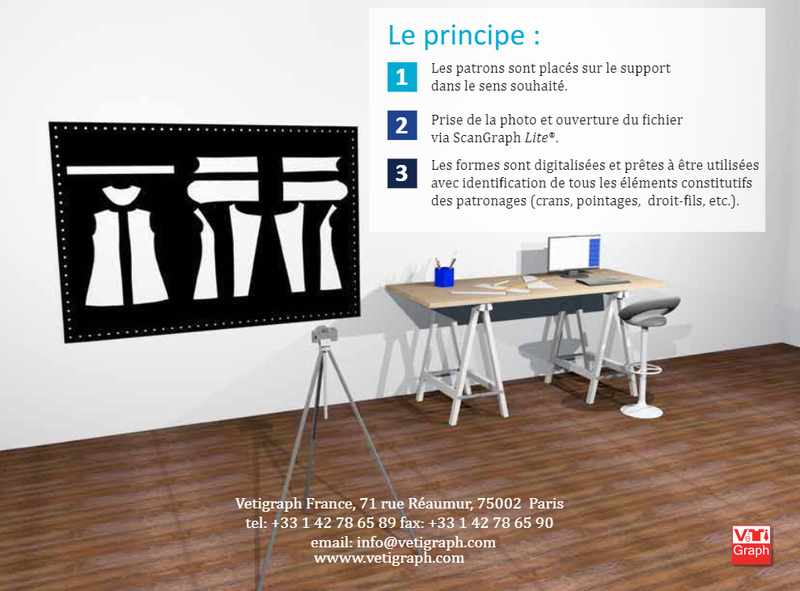 Scangraph® offers a real alternative to classic digitization. 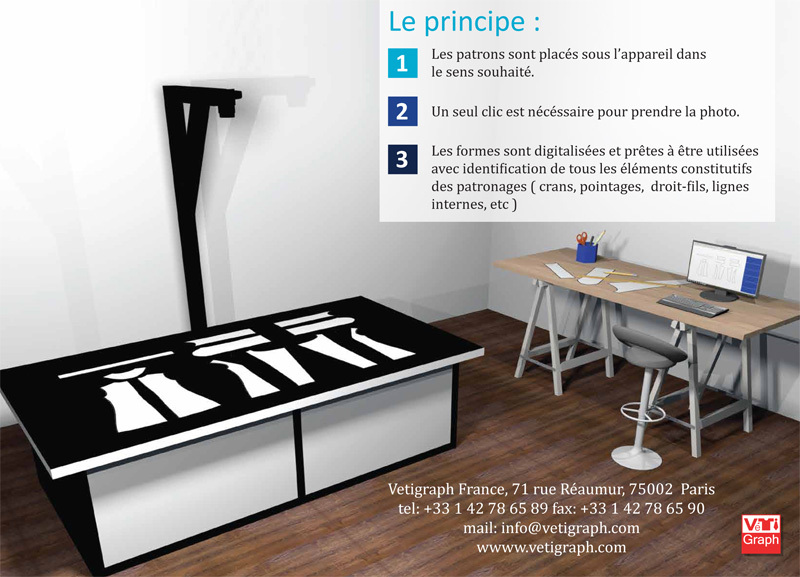 More accurate and faster, this system allows you to vectorize one or more patterns at the same time in one click, with the help of a camera fixed on a special device on top of a table. Within this solution, you can use a simplified CAD tool to modify your shapes and generate them in various formats (PLT, DXF, …). Determine your material costing in a few seconds for the calculation of the cost price! After digitizing the sample size with the Scangraph® solution, compared to a measurement table, the system simulates the gradation and automatically performs a cutting marker with a given size distribution. The margin of error of the material use is less than 4% compared to the production.